My approach to this topic is based on the fact that the individual is the building block of any society, and also to the fact that Allah has laid special emphasis on the individual and his/her spiritual and moral upliftment during the month of Ramadan. If the individual is islamically sound and sincere, then the society will become Islamic. I have looked briefly at how Allah and his Rasul (ﷺ) has explained how the individual can best utilize this special month to develop a personality that is based on Qur’an and Sunnah. 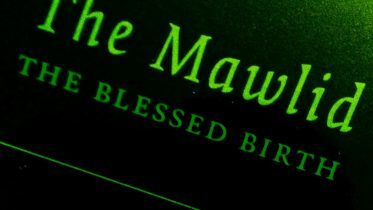 Apart from tarawih, other nawafil [voluntary] prayers are recommended, especially tahajjud (late night prayer). Maulana Maududi has stated “But make it a point that you offer the nafl [voluntary] prayers indoors and in secrecy so that your personal attachment with Allah might increase, and sincerity of purpose develop in you. Show of nafl or tahajjud prayers gives way to hypocrisy and self-importance which is detrimental to sincere belief”. (2) Saum (fasting):- This is a continuous, rigorous, spiritual, discipline and self control, that trains one for perfect and cheerful obedience of Allah. It strengthens one’s faith in Allah and makes one sincere, faithful and obedient to His commands. It enables us to be the master and not the slave of our desires and appetites – thus we develop confidence. Fasting also develops a strong sense of nearness and closeness to Allah and of His presence everywhere. The Prophet (ﷺ) has said:. “There are two pleasures for the fasting person, one at the time of breaking the fast and the other at the time when he meets his Lord, then he will be pleased because of his fasting”. Ayesha also relates how the Prophet (ﷺ) spent these last ten days of Ramadan: ” -… the Prophet (ﷺ) observed ‘Itikaf and went into seclusion during the last ten days of Ramadan and he advised the people to look for the night of power in the odd nights of the last seven days of (Ramadan)”. (Muslim). “If a person is fortunate enough to perform a good deed in the month of Ramadan, the blessedness of it will not depart from him for the whole year and if this month is spent in distress and frustration the danger is that the whole year will pass for him in the same way.” The most appropriate way to remember Allah, taught to us by the Holy Prophet (ﷺ) is to try and learn by heart, as many duas as possible, fully grasping their meanings and reciting them often keeping the meanings present in your mind. It is reported in Tirmidhi, that the Holy Prophet (ﷺ) has said that Allah will not refuse the duas of three persons – the righteous and just Imam, the oppressed one, and the fasting person. Ibn Abbas related that the Prophet(ﷺ) was the most generous of all men, but in the month of Ramadan, when Gibrael, used to come to him, his generosity knew no bounds. It is also related in Bukhari and Muslim that during the day of Ramadan, the Prophet (ﷺ) appeared to be faster than the wind in acts of charity and benevolence. Hence, acts of charity, obligatory as well as nawafil, (to the extent of one’s means), should be , continuously done. It is related in Mishkat 7:i:iii – This is a month in which the sufferings of the poor and their hunger must be attended to, Many Muslims use Ramadan for payment of zakaat [charity], which in itself is a purification, becomes ten time its worth in the sight of Allah, during this Month. Since our eternal abode is the hereafter, we must in our spiritual development give due consideration and preference to this fact and try to develop a conscious preference for Al-Aalchirah [hereafter]. (a) By studying the verses of Holy Qur’an that relate to Aakhirah and to fully internalize their spirit and meanings. (b) Study traditions of the Holv Prophet (ﷺ) concerning life and death and the world to come. (c) Pay some freque6t visits to graveyards to meditate on your final physical end, based on the advice of the Rasul (ﷺ), and to contemplate your future journey. (d) Consider your worldly possessions and worldly interests and find out how often these things distract. or succeeded in attracting you away from getting closer to Allah. Reassess the importance of your worldly gains (ni’amah) as amanah (trust) from Allah for your future in Al-Aakhirah. (e) Finally check out the people whom you choose to keep as friends and companions- are they materialistically inclined or do they prefer piety and gains of the hereafter over this world? Keep friends with the latter of the two categories. 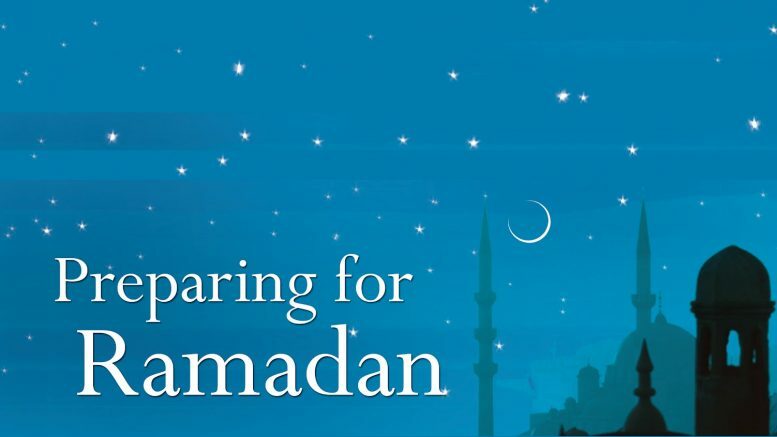 The Muslims during Ramadan can now evaluate his consistency and commitment to Allah and his din [way of life]. As your spirituality develops, your personality assumes an islamic outlook. As a natural outcome of fasting, hunger makes a man humble,removes the pride from him and enables him to turn to Allah with concentration and devotion, Ramadan is the best time to develop those qualities that will make us into islamic personalities; with characteristics such as honesty, high morality patience etc. We must avoid vain talks foul speech, immoral behaviour, ignorant emotionalism and so on. Abu Hurairah narrated that the Prophet (ﷺ) said “Whosoever does not abstain from uttering lies and acting according to them, Allah is not in need of his giving up his food and drink” (Bukhari). The Prophet (ﷺ) is also reported to have said: “Fasting is an amour with which one protects oneself, so let not him (who fasts) utter immodest (foul) speech, nor let him not act in an ignorant manner, and if a man quarrels with him or abuses him he should say twice ‘I am fasting’ (Bukhari). In another version he (ﷺ) said “fasting is a shield until it is ripped” “By what” asked a sahaba he (ﷺ) replied “by backbiting”. During the month of Ramadan we must exert ourselves to pattern the character of the USWAH [best example]- Rasullulah (ﷺ) and as was explained by Ayesha (May Allah be pleased with her) His character was Qu’ran. Some other practical ways to develop character during this rnonth includes:. (1) Avoidance of vanity: such that you feel as though you have reached your goal in achieving an islamic personality. (2) Ramadan itself is a month of discipline; we must make a special effort to include this discipline as part of our Islamic personality. As trained Muslims we have to demonstrate such strength of character that at any moment, at anyplace we are full of confidence; and this can be achieved only by disciplining ourselves to follow tile orders of Allah and His Rasul (ﷺ) to the letter and by developing taqwa (piety). (3) During the month of Ramadan, we should as part of character development, exhibit special concern for our families, friends and Jamaat. [neighbourhood congregation] Allah says in Qu’ran: “Save yourselves and your kith and kins from the fire” (chap 66 verse 6). So apart from providing the necessities such as security, food, shelter, clothing etc…. we must strive to see our near and dear ones on the path of siraatal mustaqeem [straight way], to attain peace and also salvation. Also, apart from the seven duties of one Muslim to another; we must take interest in each other and help each other personallv in whatever way possible. In other words, together with striving for betterment and reformation of yourself – you must also strive for betterment and reformation of your families and fellow Muslims of the Jamaat. This is a form of collective purification. As the Rasul (ﷺ) has said: A Muslim is like a mirror to another Muslim. Allah says in Qur’an 2:183 “La allakum tattaqun …. fasting is made obligatory on you ……maybe you will become pious and virtuous.” In other words after Ramadan, there should be changes in our attitude and behaviour patterns such that our character must reflect spiritual and moral growth. Hence, in individual self evaluation (Muhasabah), the objectives set by Allah and Ilis Rasul (uwpb,) for Ramadan, must be evaluated by us during and after Ramadan; to see how well we have utilized and how much we may have achieved personally. During this month, mutual criticism, in the correct islamic manner, should be done among the fraternity of a Jamaat; so that one helps the other to develop gradually islamic personalities. There is a meaningful relationship between the Holy Qur’an and fasting. It is reported in Sahih Bukhari and Sahih Muslim, that in Ramadan Garbriel came to the Prophet (ﷺ) every night and joined in the recitation of the Qur’an. We are also told that the Prophet (ﷺ) used to pay the greatest attention to the recitation of Qur’an in Ramadan. Therefore, during Ramadan we should try to develop an attachment to the Qur’an, by way of Tilawatil-Qur’an [recitation,] and also by memorizing various Ayaats [chapters] and Surahs [verses]. Our personal study programmes should be focused towards more tafsir-ul Qur’an [explanation of the meanings] and hadith of Rasullualh (ﷺ), to gain closer understanding and at the same time develop an attachment to these important texts. Knowledge and education of Islam should flow as much as possible during the month of Ramadan firstly, to you the individual and secondly from you the individual; hence activities that will encourage this principle should be maximized: eg; study circles, maqtabs, short talks, lectures, da’wah programme and so on. (1) Familiarization with members of Jamaat – Da’wah oriented. (2) seeking out the non-practicing members of the Jamaat and giving them the message with the objective of getting them involved in some study sessions. (3) Programmes of study for women and children. (4) Da’wah to non-Muslims in Jamaat area identifying “potential Muslims” thus providing contacts for further sustained da’wah work. (10) Islam – ideology and way of life – Afzlur Rahman. Be the first to comment on "TOWARDS MAXIMUM UTILIZATION OF RAMADAN"